Catladyland: Cats are Funny: Win a Cute Kitty Cap or Water Bottle from TailTherapy™! 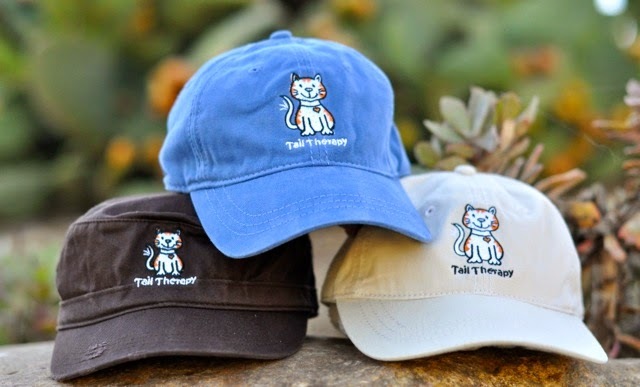 Win a Cute Kitty Cap or Water Bottle from TailTherapy™! What's more therapeutic than a pet? When we're feeling down or just want to have some fun, our furry friends are right there, ready to administer their special kind of therapy. 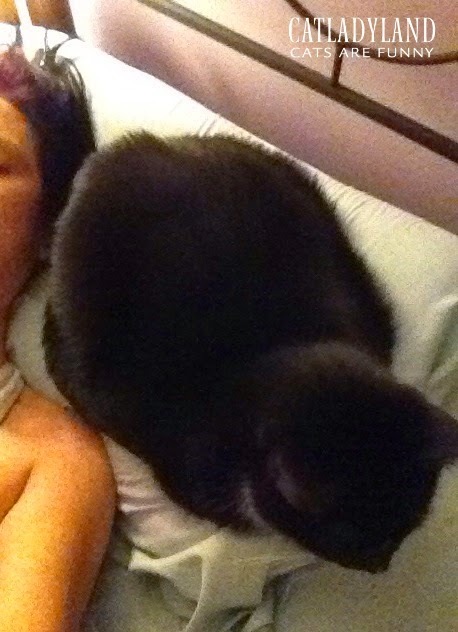 My Cosmo is super tuned-in to when I need a little extra love; in fact, he sometimes takes his therapy a little overboard, becoming a velcro-cat therapist. Is there such a thing as helicopter therapy? If there is, Cosmo invented it. Proof: Take a look at this photo. It's a little grainy because I took it as soon as I opened my eyes in the morning, but check out my morning tail therapy! Cosmo gives me tail therapy, up close and personal. Well, let me tell you about a company called TailTherapy™. They produce a signature gift line for dog and cat lovers, including a premium selection of hats, water bottles, leashes and more. Their mission is to showcase the premise that the best therapy is often free and furry. 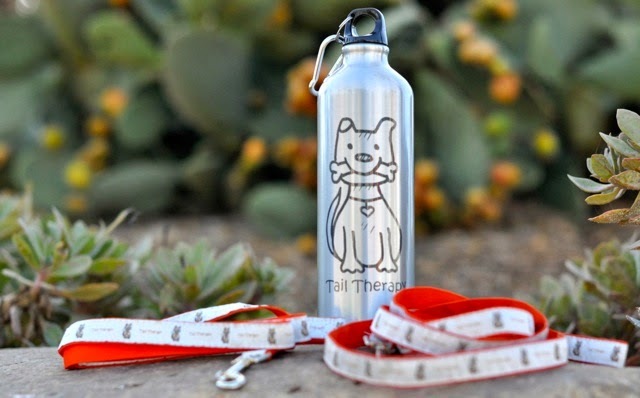 TailTherapy™ walks their talk and donates a portion of sales to organizations that focus on animal therapy programs. Their initial targets include Pet Encounter Therapy (PET) at Helen Woodward Animal Center and Pet Partners (w/ASPCA). TailTherapy™ and Catladyland are teaming up to give two readers their choice of a water bottle or a hat! How fun, right? Enter via the Rafflecopter widget below. After you click to enter, you'll be asked for your name, e-mail address and mailing address. No one sees this information but me -- promise! Please remember to place all the information on the same line. If you enter before including all the info, Rafflecopter won't allow you to edit your entry. Just leave a comment on this post and I'll make sure you're entered. You'll get an extra entry if you follow TailTherapy™ on Twitter! You'll see the option for that after you enter. Following on Twitter is not mandatory. TailTherapy™ paid us for the post, but Catladyland only shares information and products we feel are relevant to our readers. TailTherapy™ is not responsible for the content of this article.